Last Friday, Book of Mormon Central closed out its sixth month of KnoWhy publication, cranking out 133 KnoWhys (each between 2–3 pages long) in that time. Each KnoWhy explores a specific detail in the Book of Mormon, drawing on the vast body of scholarship already available on the Book of Mormon, as well as scholarship on the Bible, the ancient Near East, and pre-Columbian America, etc., to shed light on the text in various ways. Altogether, in the first six months, Book of Mormon Central drew from 657 different publications from 398 different authors, 141 of whom are non-Mormons (that is 35% of all authors cited, slightly more than one-third). That comes out to an average of about 5 (4.94) sources used per KnoWhy, from almost 3 (2.99) different authors each, including at least 1 (1.06) non-Mormon each time. The number of different publications per author cited is less than two (1.65). Of those nearly 400 authors, only 13 (including 1 non-Mormon) have been cited in at least 10 KnoWhys, and of those, only 4 have been cited in more than 20. The two most frequently cited authors show up in 58 and 38 different KnoWhys, and no one else appears in more than 21. I find these numbers interesting because, to me, they indicate an impressive diversity of sources from which insights into the Book of Mormon have been drawn. Far from being a small, academically incestuous group Mormon scholars, Book of Mormon Central has drawn from over 650 different sources, by nearly 400 different authors and scholars, of which slightly more than one-third are not Latter-day Saints. Even those who are more frequently cited are still not excessively leaned on, with most (all but two) being cited in less than 16% of all KnoWhys, and even the most frequently cited author appearing in less than half of all KnoWhys. 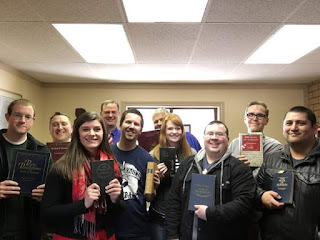 Book of Mormon Central has already produced enough material to keep the diligent student of the scriptures busy for years (should they choose to probe the content of each KnoWhy further beyond a mere reading of it). 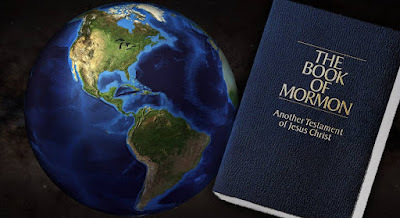 Yet, there is much, much more in the pipeline, which will continue to draw from an ever wider array of both Mormon and non-Mormon sources in an effort to shed more and more light on this most-sacred, keystone text. Congratulations on your accomplishments. I eagerly await your future KnoWhys. Thank you for doing this. I love what I'm learning. Thank you!